Discussion in 'Benchmark Mayhem' started by Hilbert Hagedoorn, Mar 6, 2019. Hi. This my very first post. mohiuddin, HWgeek and chispy like this. looks like 4790k is slower than a 3930k. Ah, such a great platform this x79 and X58 are even today. Thats all with 1866mhz ram. Even the 990X scores 1800 so closer than one would think. 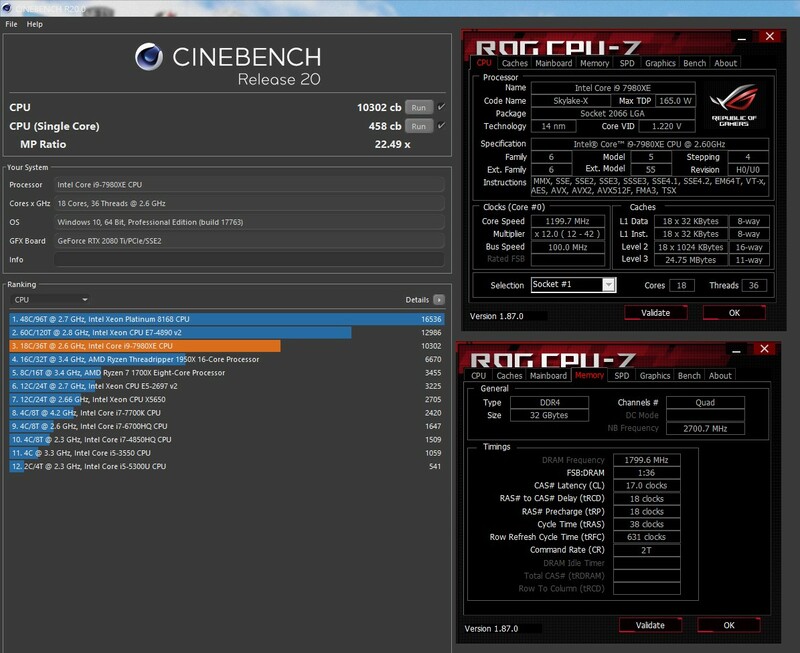 Updated my Score with Single Core Result..
4.6ghz all core with 1.22v..
Undying and chispy like this. Here's my TR 1950X with the CPU at stock but the memory and IF at 3466 CL14 with moderately tightened sub-timings. Dual Xeon 2680 v2 got 5341 @ 3.1Ghz. Guys , isnt this pulled down from guru3d server cause of maxon's legal notice or whatever? U guys using win store to download? 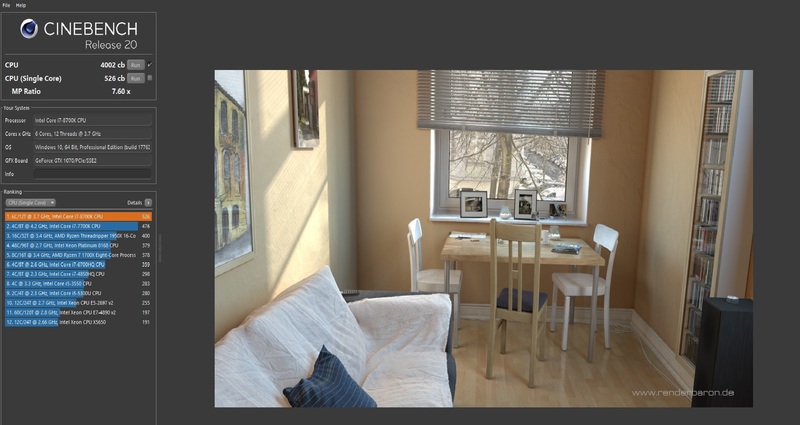 Any other way to get apart from downloading from junk-store? It was pulled down, but I'm using the portable version that was uploaded before. However, Techpowerup up still has it up on their servers so you don't have to use the UWP version. Atleast 6c12t cpu for today standard. 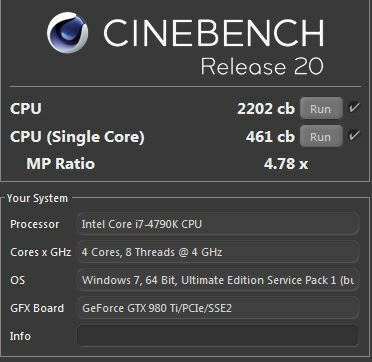 This new benchmark is brutal. Heh. This was a first run. (sic)Klown12, toyo, user1 and 2 others like this. chispy and Koniakki like this. 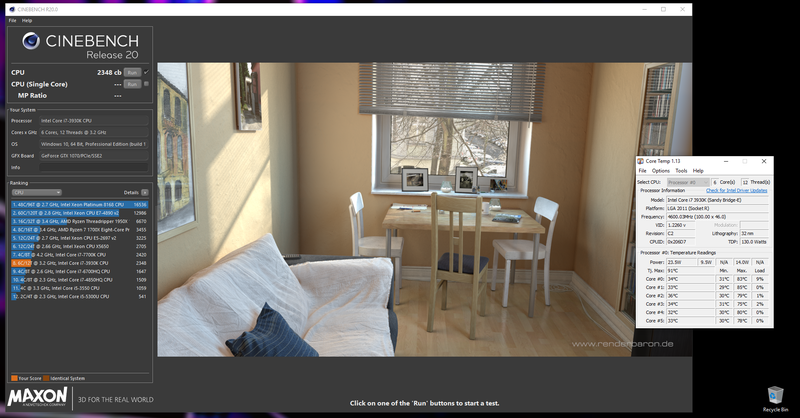 MAXON Cinebench R20 standalone release is now officially available to download. Sorry for double pic..it has been a long time since i posted an image i dont know how to get rid of one of them or click to enlarge option.